Today, I feel like eating pizza for dinner. 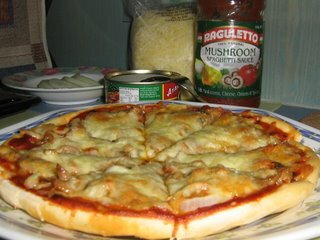 So before I reached home, I went to get ingredients for pizza making. 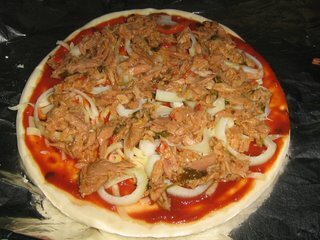 I decided on Tuna Pizza as I felt that thats easy to make. 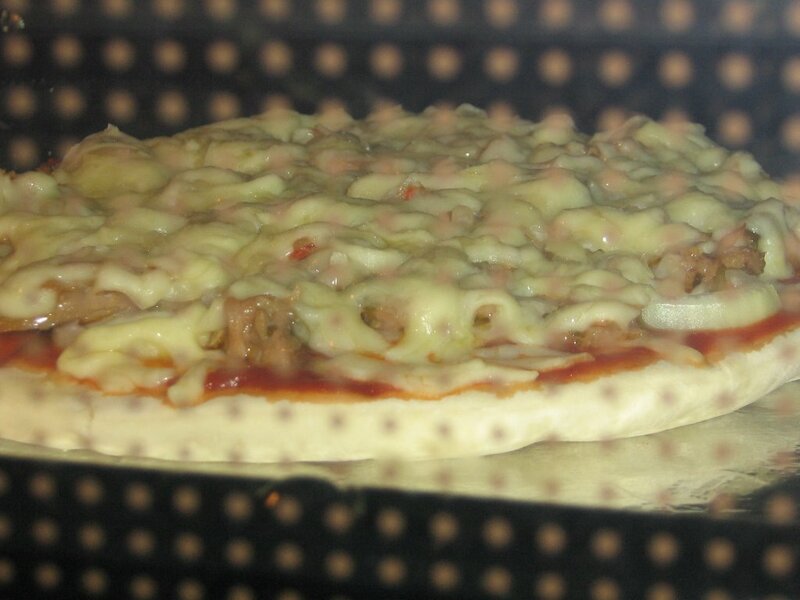 This is how the pizza looks like before I topped it off with loads of cheese. This is it .. cheese melting away in the hot oven. And this is the pizza, sliced and ready to be gobbled down. 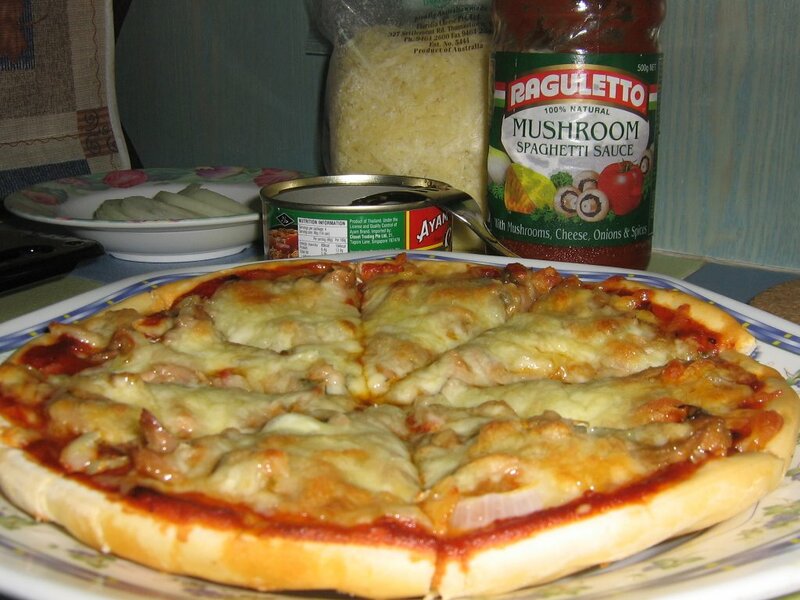 Take one pizza base and place it on baking tray. Sprinkle some mozarella cheese and then put some sliced onion and then tuna chili. Top it off with loads of mozarella cheese and bake for about 20 mins. Bday Dinner, Concert and "Goodie Bag"
The Kewl People Around Me!